This week Dr. Caldicott talks to two noted journalists: Seymour Hersh, an American Pulitzer-Prize winning investigative writer based in Wahington D.C., and Australian documentary filmmaker John Pilger, two-time recipient of Britain’s Journalist of the Year award. In the first segment, Dr. Caldicott asks Hersh about his November 2011 article Iran and the I.A.E.A. They discuss the lack of evidence of Iran’s alleged nuclear weapons program. Other topics include how the U.S. government manipulates information to justify its belligerent stance toward Iran, and why the U.S. media never questions the White House about its war-fighting aims. Dr. Caldicott mentions a Physicians for Social Responsibility report that speculates about the radioactive fallout if Israel were to drop two nuclear weapons on Iran’s nuclear facilities. Check out War is Not the Answer: The Medical and Public Health Consequences of Attacking Iran. Read two other articles by Hersh: Iran’s Nuclear Threat - Real or Not? and Judging the cyber war terrorist threat. Find other articles by Hersh here. And read Seymour Hersh … and the Men Who Want Him Committed. Dr. Caldicott starts the conversation with Pilger by stating that the media has become part of the Pentagon’s killing machine. She mentions her book The New Nuclear Danger. Pilger talks about the history of governments using the media for propaganda purposes. He refers to his film The War You Don’t See. Pilger talks about colonialism and how propaganda is used to justify imperial wars. Other topics discussed include the media’s lack of ethics and objectivity, Wikileaks, the New York Times publishing false reports to cheerlead for the 2003 Iraq War, U.S. military expenditures vs. social spending, and the glorification of war. Read three articles by Pilger published in the last year: The world war on democracy, Once again, war is prime time and journalism’s role is taboo and Welcome to the violent world of Mr. Hopey Changey. 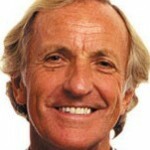 Read all of Pilger’s articles and find video excerpts of his films on his website. This entry was posted on Friday, January 20th, 2012 at 12:00 am	and is filed under Uncategorized. You can follow any responses to this entry through the RSS 2.0 feed. Both comments and pings are currently closed.